The Medical Marijuana movement spawned an explosion of tantalizing cannabis strains with exotic flavors and affections. Cannabis flowers (buds) have connoisseur appeal for fragrance and taste ranging from citrus to bubblegum, not to mention ‘cat piss.’ Breeders compete to be the first to find the philosophers stone of cannabis – the perfect bud. My surprise was to have never have had considered Zeta Kief before. As the Cali bubble hash market goes even crazier, each strain seems to have its own bubble hash artisan. Like Chem Dawg? Try some Chem Dawg kief. Smoking some hefty OG bud? Sativa it off with Jack Herer kief so you can have a clear head while your body remains in couch-lock. A little sprinkle on a bowl of bud is like a triple-sided condiment; improves flavor and adjust affect all while kicking up potency. Whatever hits LA explodes into the most colorful way of doing it. Not that the Europeans haven’t been lacing spliffs with hash for the last 40 years. Moroccan, Turkish and Indian hash is renowned – I still hold a torch for a 1969 Lebanese Blond Hash I had a hard time not chipping. And Amsterdam’s lady of hash, Mila, has magic for making ‘Ice-O-Lator’ hash that renders smoking bud there second choice. Even with this, Zeta Kief may find little improvement by means of European sorcery. Making kief is nothing more than separating the greatest psychoactive parts of the cannabis plant, called trichomes, from those non-psychoactive parts, i.e., those parts all plants share. Hash is the pressing of heated kief so as to rupture the trichomes while sealing the oils in a tight oxidized crust for storage. 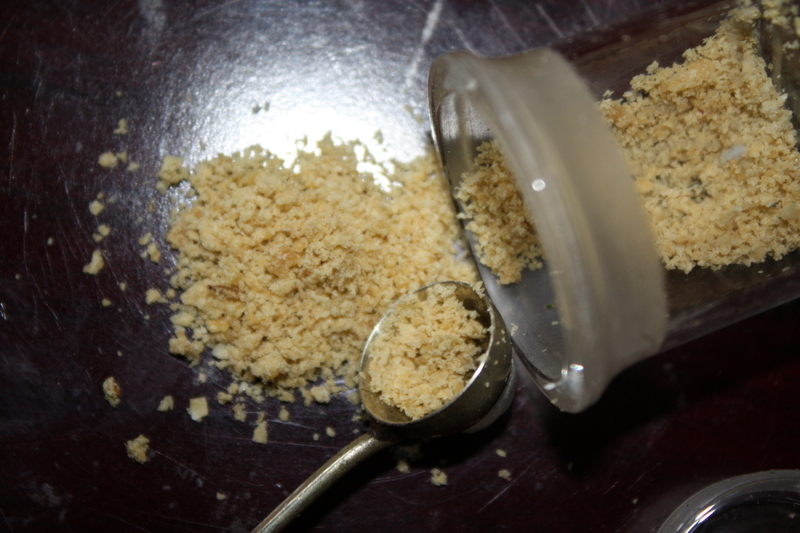 Kief is typically grainy or powdery while hash ranges from crumbly to a flexibly clay-like substance. Colors typically vary from black, brown to green. When Ford held out that small jar, untwisted its ‘Zeta Kief’ labeled lid, a golden glow seemed to highlight his gleaming face. 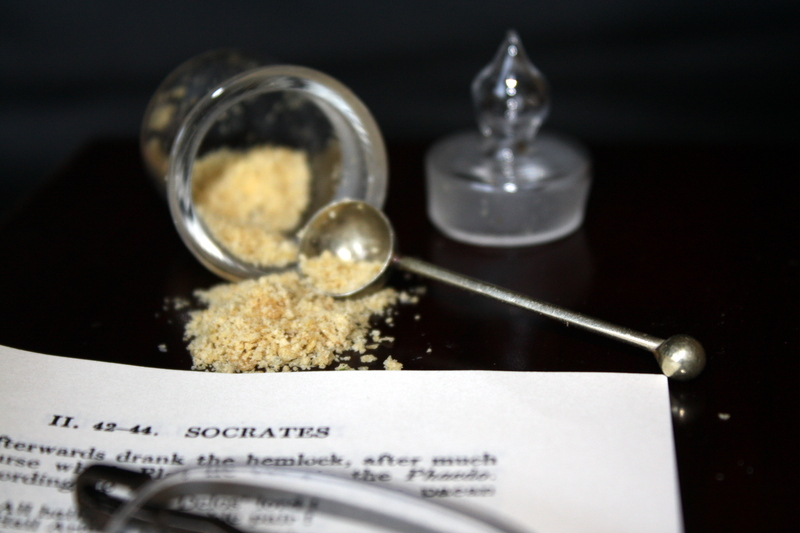 Before me was a jar filled with golden nuggets the texture of fine coarse grain. 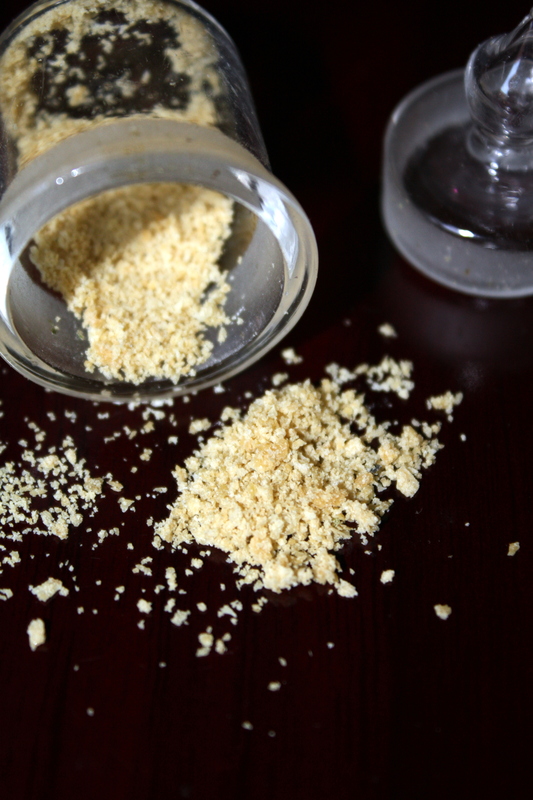 It all makes cosmic sense – Zeta, a cannabis super-strain, produces the richest most beautiful rare golden colored kief. It’s simply stunning! A Golden Goddess. Not wasting a moment of time I decided some serious research was in store; sampling, sharing and exploring the visual depths of this delightful new substance. Sharing – giving back – is a gainful practice and benefited by the pronouncement of “It’s clean” from a true cannabis sage scoping a sample bit from my gram. My first taste was a surprise. What caught my attention was neither the taste nor the affect. 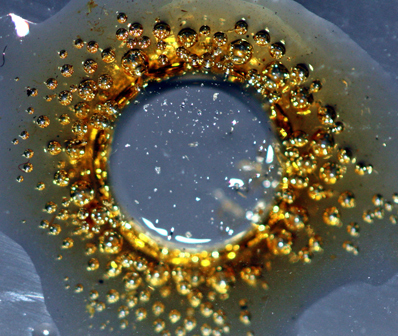 It was the effect; Zeta Kief melts into honey oil as it bubbles into an even deeper gold. Placing some on thin heated glass results in a form of cannabis like nothing I have ever seen. Once allowed to harden, the Zeta honey crystallized into miniature butter-brittle like flaks – perfect for topping off a bowl. This is why there is no picture of Zeta Flaks. Research first. Photography later. Please leave your taste/affect of your own Zeta Kief research. At this point I will defer to the comment section for others to voice the subjective Zeta experience – if you’re into that type of research.